Caudan Development’s main activity consists of the management, promotion and development of its primary asset, Le Caudan Waterfront. Le Caudan Waterfront is the pioneer of the shopping mall experience in Mauritius, an icon amongst Mauritians and a must see for visitors. 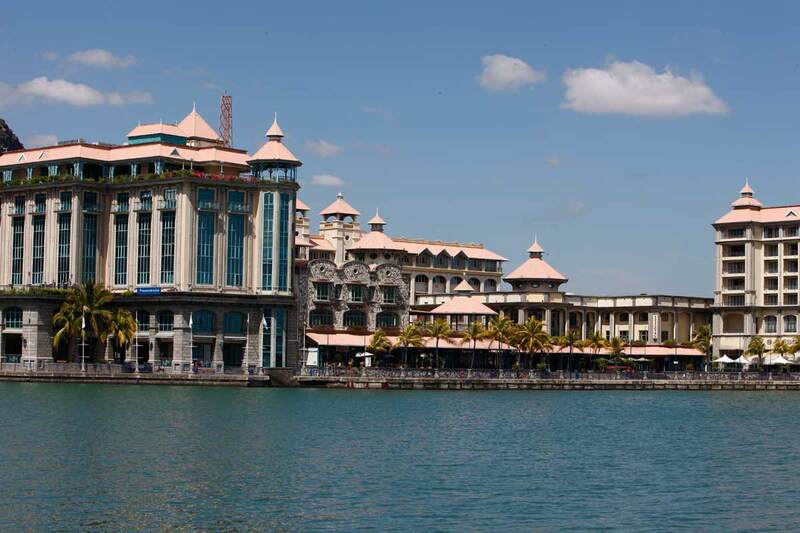 It is also the only mall in the country’s capital city as well as being the only mall in Mauritius to be located on the waterfront. With the recent construction of the Caudan Arts Centre (CAC) – a landmark artistic and conference venue – Caudan is also engaged in making LCW a vital cultural destination for Mauritians and tourists. Caudan is also endowed with its F&B department which manages the operation of the Café in the CAC as well as a restaurant in the food court. A strong management team has been put in place to ensure that shareholders continue to capitalise upon Caudan Development’s assets long into the future. Today, Property Development is at the core of Medine’s strategy after a long history of agricultural production which still forms a large part of the company’s activities today. Of Medine’s 25,000 acre landbank in the burgeoning West Coast of Mauritius, 1,500 acre in its development pipeline with 500 earmarked for a smart city project with education as its main theme. Mauritius’ rapid growth coupled with Medine’s unique landbank in the prime areas on the West Coast of Mauritius encapsulate the vast underlying value for this company. The MCB Group is the largest banking institution on the island with sizeable capital buffers. The company maintains a 30% payout ratio on earnings on top of boasting attractive valuation metrics at current price levels. The Group also has a diversified revenue base and a large domestic market share. The MCB is now expanding internationally as Mauritius asserts its reputation as a major financial centre in the region. In 1995, the company signed a 60 year BOT agreement with the Government of Mauritius for the construction and operation of the largest logistics Freeport platform of the island on land of an extent of 30ha next to the New Container Terminal. It was always our contention that 20 years of pain would be followed by 40 years of gain. Now, after 20 years of completing the 4 phases of construction and of showing tepid returns for its shareholders, the company is rewarding those early investors who stuck through the early phases of development by being a star performer in our portfolio. Excelsior United Development Companies is the sister company of Medine with a solid group of defensive assets ranging from alcohol production and distribution (c. 38%), financial services (c. 33%), property (c. 10%) and tourism (c. 9%). We have the utmost faith in the underlying businesses of the company being strong sources of capital and dividend growth well into the future.